Maction Planet is proud to announce the launch of a new apparel collection, developed in collaboration with Ramen Adventures, Brian MacDuckston’s ramen brand. “Brian is a legend. Everyone and anyone has used his website to find new ramen shops, in Tokyo and beyond. The man’s following and reaching continues to grow, both internationally and domestically. It is no exaggeration to say that Brian is truly ‘Mr Ramen’, and it is an honour to work with him” said Mac, Founder of Maction Planet. “In my ongoing ramen adventures, I see custom ramen t-shirts everywhere I go. I’ve wanted to get the Ramen Adventures brand out there for a while, and it’s great to work with Maction Planet to get these cool shirts to ramen fans around the world. These shirts are comfortable, and the bold logo really gets noticed on the streets of Tokyo!” said Brian, Founder of Ramen Adventures. 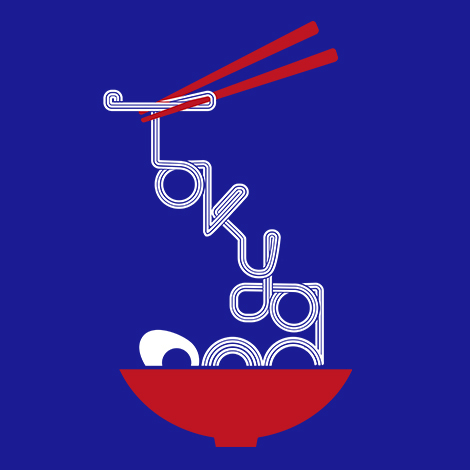 Three are based on the Ramen Adventures logo. 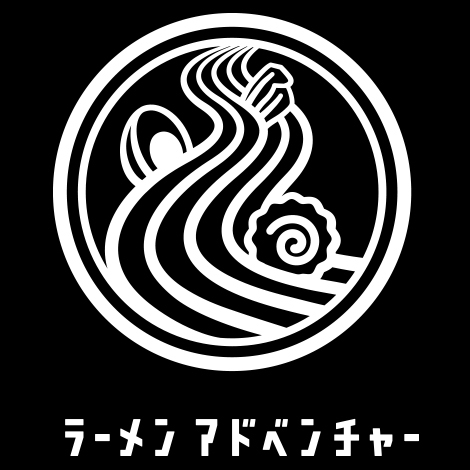 One showcases the logo stand-alone, and the others feature the words “Ramen Adventures” – one in English and one in Katakana. There is also a limited edition black-and-white variant of the Ramen Adventures Katakana shirt, limited to 100 pieces. One shirt, Ramen Rider, highlights Brian’s latest project as he tours Japan by motorcycle, seeking out the best bowls in the country’s 47 prefectures. The orange and black color scheme matches perfectly with KTM and Harley Davidson riders. The KOKORO: Ramen shirt compliments Maction Planet’s existing KOKORO range. And, for those that see Tokyo in every bowl, there is the ‘Tokyo Ramen‘ shirt, already a firm favourite in pre-orders from existing Maction Planet customers, who were able to snag a preview of the new range. 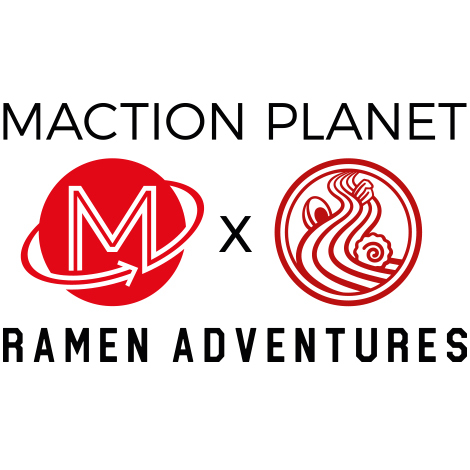 All shirts will be fully branded with exclusive ‘Maction Planet x Ramen Adventures’ labelling. Mac and Brian discusses the history of Ramen Adventures, Brian’s upcoming projects and the story behind their collaboration in the latest edition of Maction Planet’s interview series ‘Mac on Tokyo’, which brings you the personalities behind The World’s Greatest Metropolis. Check it out here! This is Maction Planet’s fifth collection and second major collaboration, following the launch in April 2017 of a line of Shochu-themes T-shirts, created with Christopher Pellegrini’s Shochu.Pro. The T-shirts will retail for ¥3,500, with the Limited Edition Black and White “Ramen Adventures Katakana” shirt available for ¥3,990. As with all Maction Planet Apparel, international delivery is available. Maction Planet is a Travel and Apparel business, based in Tokyo. They run Private, fully-customised Tours and Travel Experiences in Tokyo, and beyond. Guests have described them as “reinventing custom travel” in The World’s Greatest Metropolis. Since the launch of their website in February 2017, and growing their business away from solely ‘word-of-mouth’ recommendations, Maction Planet is now ranked in the Top 15% of all Tokyo Tours on TripAdvisor – ahead of many long-established Tokyo Tour companies. They were chosen as Official Hospitality Provider to “Brave and Bold”, Tokyo’s premier Artist Alley event. They have developed a loyal fanbase, with over 2500 Instagram followers. Alongside the travel arm, Maction Planet Apparel releases unique T-shirts inspired by the city they love. Ramen Adventures is the brand of Brian MacDuckston. From its humble beginnings as a blog chronicling Brian’s visits to neighbourhood ramen joints, the site has grown to become the definitive English-language resource for Tokyo’s ramen scene. The Ramen Adventures brand now encompasses a popular YouTube channel with over 35,000 subscribers. Brian is also author of the book “Brian’s Ramen Adventures”, highlighting 50 Tokyo restaurants. A second volume is in the works.